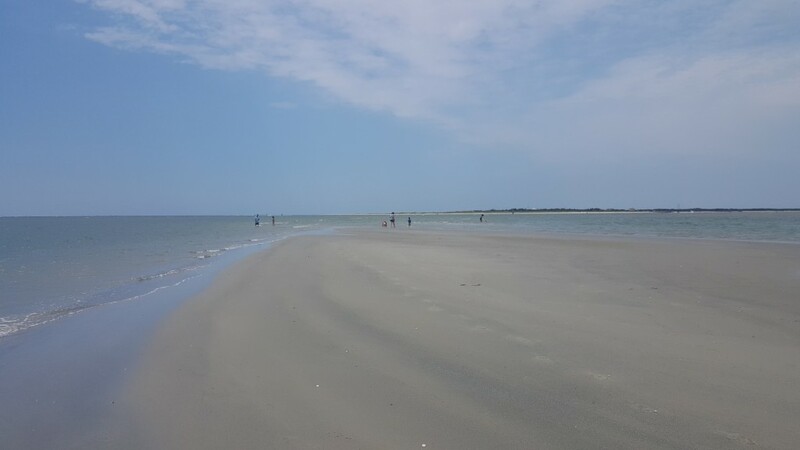 In July we went out to Bird Shoals Island while we were vacationing at Emerald Isle. We had a fantastic time exploring the island, searching for shells, and spotting sand dollars. We had perfect weather and everyone enjoyed the experience. 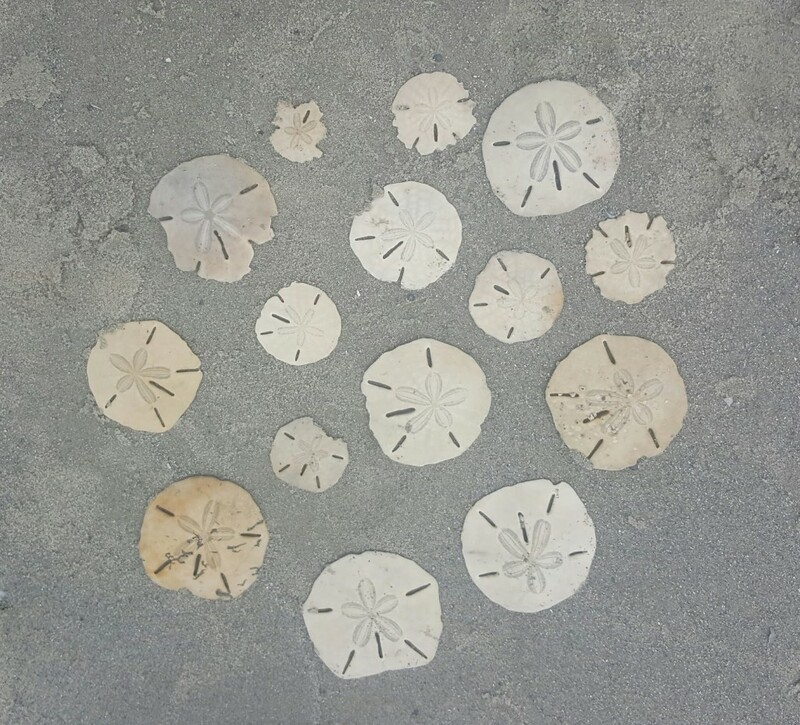 We were really fortunate to find several sand dollars. 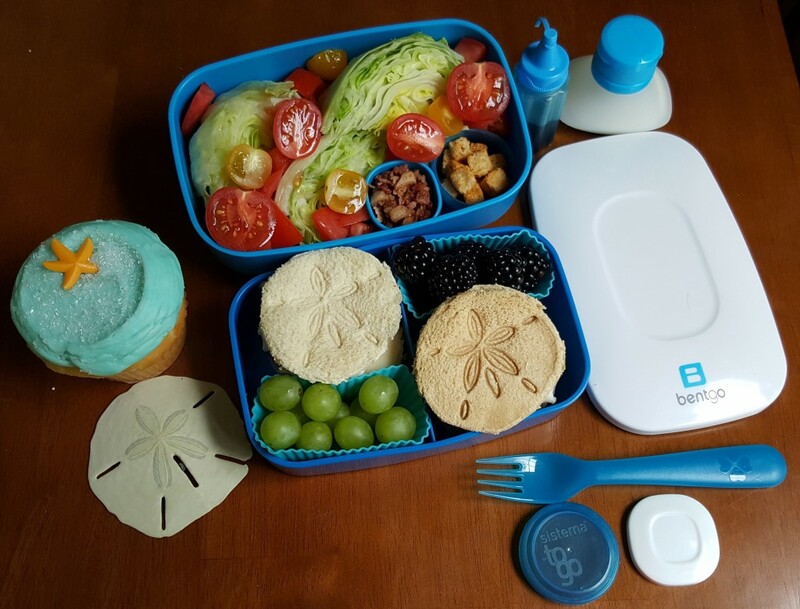 I packed sand dollar themed lunches recently so we could think back to this fun day. 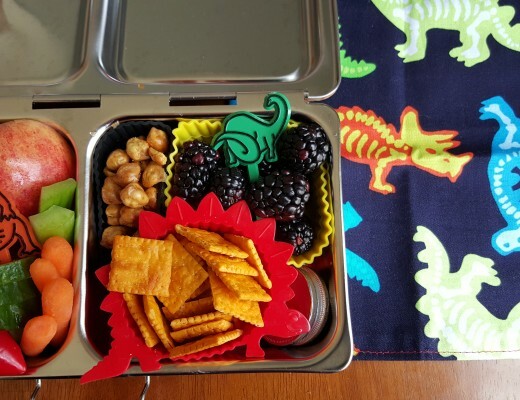 I packed this lunch in our blue, two-tier Bentgo box. The bottom tier held a wedge salad with lettuce, tomatoes, bacon pieces, and croutons. I packed the ranch dressing and balsamic glaze in separate containers pictured to the right. 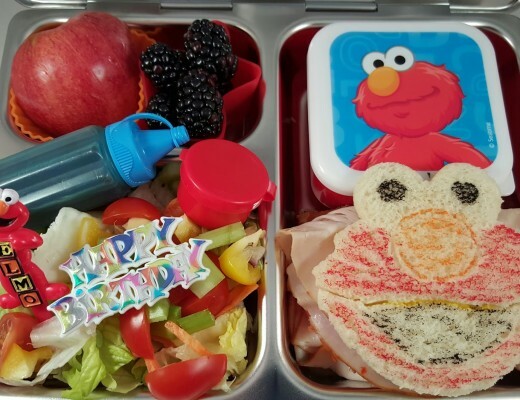 The top tier held two sand dollar shaped sandwiches with turkey and provolone alongside green grapes and blackberries. 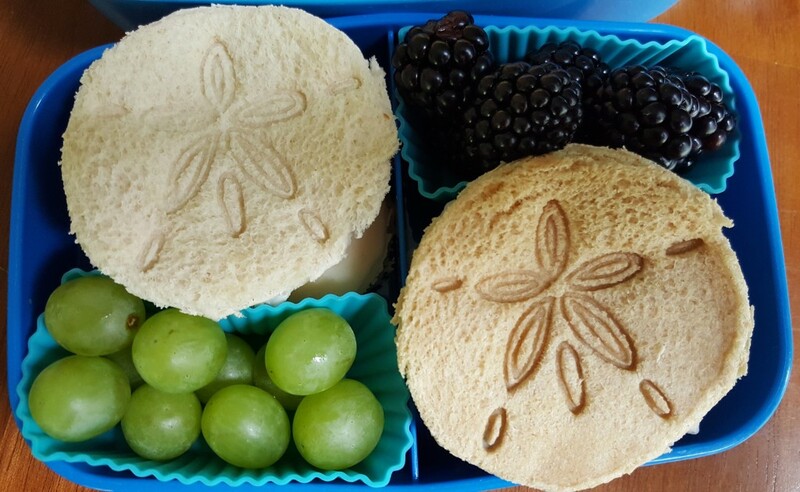 I chose to use white and wheat bread because I wanted one sandwich to look like the white, dead sand dollars that we were allowed to collect and one to look like the brown, live sand dollars that we were excited to see so many of. 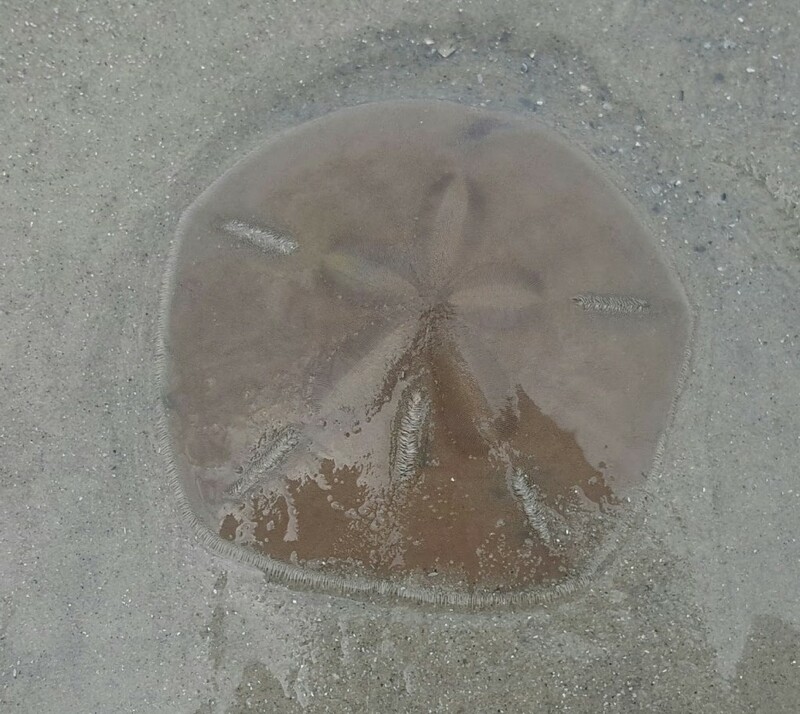 This is a closeup of one of the large live sand dollars we saw. This one was about five inches across. We saw these in a variety of sizes ranging from the size of a quarter on up. It was so cool to be wading through the shallow water and see these peaking up out of the sand. 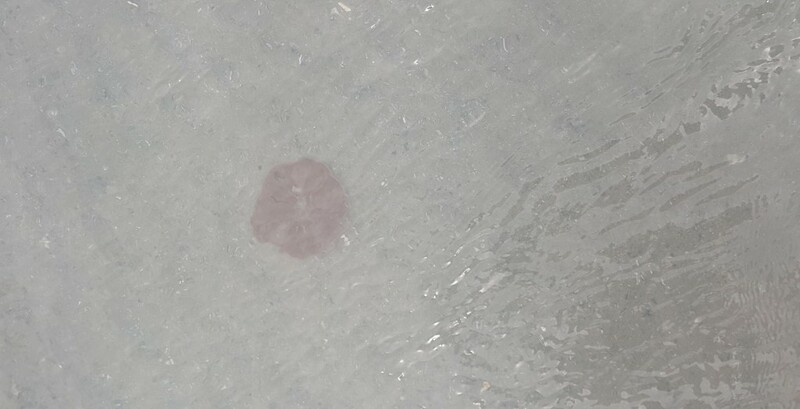 Often, the live sand dollars were nearly visible as a whole like this. But, the dead ones usually only had an edge sticking out. So we had to walk slowly and look closely to find the ones we were allowed to keep. This is a closeup of of the sandwiches. I was happy to find this 3-D printed sand dollar cookie press on Amazon. It was just what I had in mind when I pictured this lunch. I loved the way it worked so well to create the details. To make this lunch extra special, I included a Tiffany cupcake from a local bakery. These are delicious cupcakes. We first had one at a wedding and were happy to find them again. 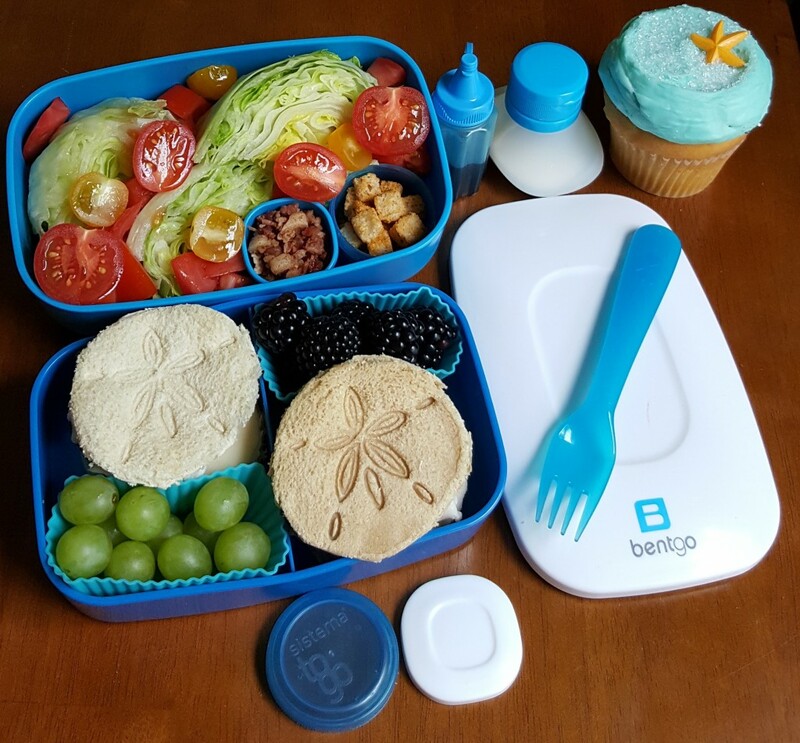 The cake is dense and flavorful and the icing is delicious, plus the beautiful blue color went perfectly with this theme of this lunch. This is a picture of the sand dollars we collected. We were really happy to find so many whole ones. My daughter had her hopes up on finding some. 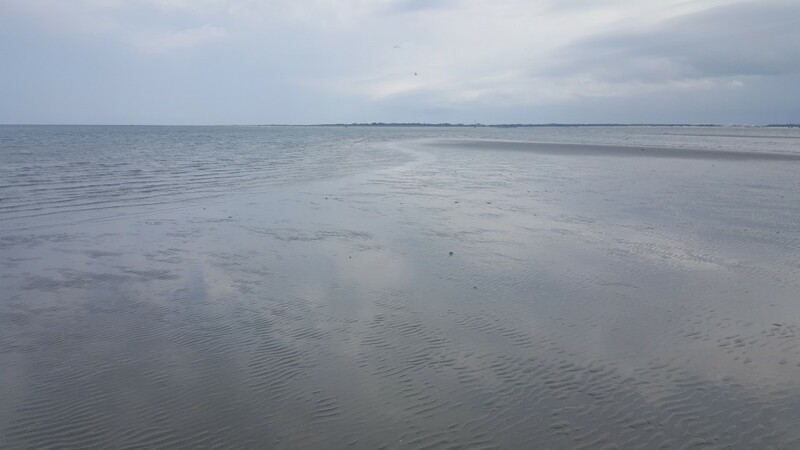 At first, we only were finding broken bits, but then my husband spotted the sand bar pictured below. We waded out to it and found many whole sand dollars there. A bonus was that we pretty much had the whole place to ourselves. So everyone could search and roam as they pleased. The water was shallow, warm, and calm. It was perfect for my son to swim in. So he played while we searched for shells and sand dollars. Here’s one more shot of this fun lunch with one of our sand dollars beside it. I really like that the cookie press worked so well to imprint the details of the sand dollar. 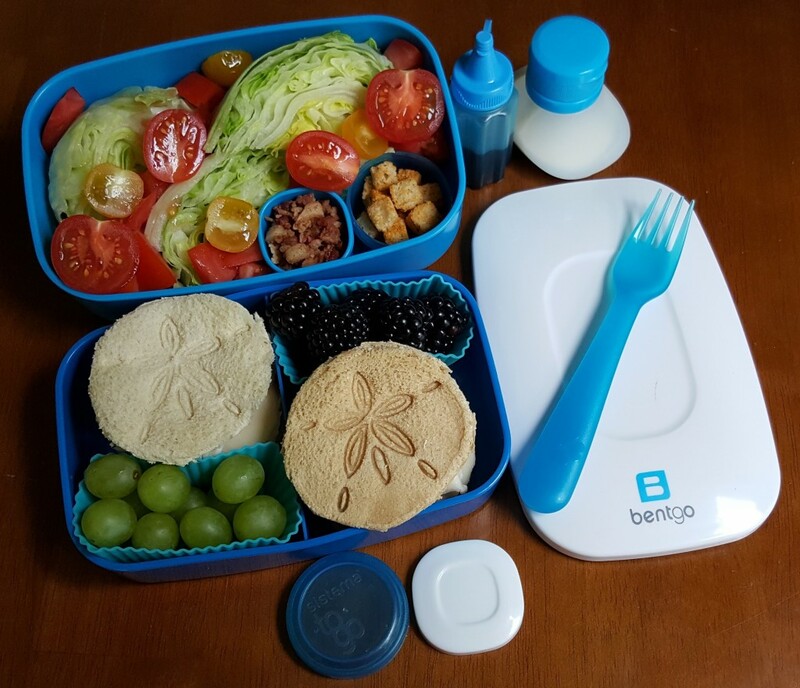 If you are interested in the little containers for all the salad extras, I used these little blue containers for the bacon, round containers like this for the croutons, the little squirt bottles for the balsamic glaze, and these dressing containers for the ranch dressing. I have had these all for a few years. They work, wash, and hold up well over time. 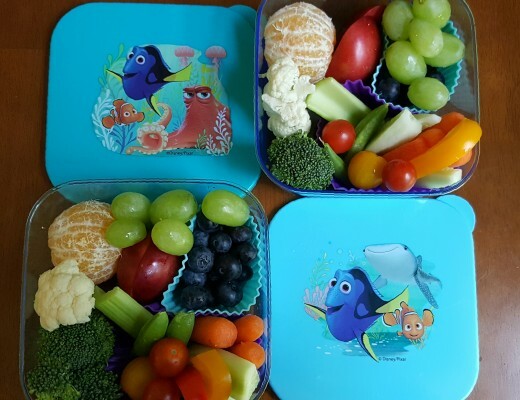 The blue fork is from this set from IKEA, they are very handy for adult and kid lunches. Thanks for visiting my blog today. 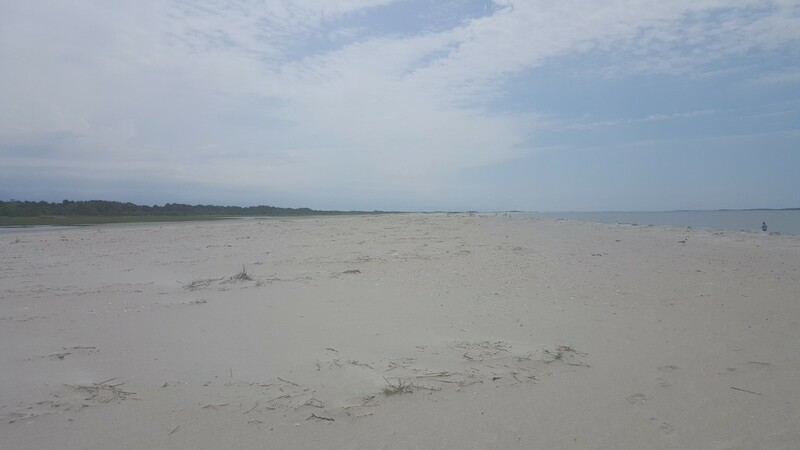 If you ever have the chance to take a ferry or boat out to an island like this to search for sand dollars, I highly recommend that you do it. We loved this day of our vacation and we will all remember this special experience.